A fourth generation local, Matt has seen much change growing up on the Redcliffe Peninsula. After completing school at Southern Cross College and pursuing a Golf Apprenticeship, Matt developed fantastic customer service skills dealing with many different personalities through Golf clinics and private lessons. Matt then pursued a career in the Hospitality industry where he quickly moved into a management position, at 19 managing Spinnakers restaurant at the Belvedere Hotel. Matt then enjoyed the challenge of Hotel Management before taking up the role of Operations Manager at the Bargara Hotel just north of Bundaberg. 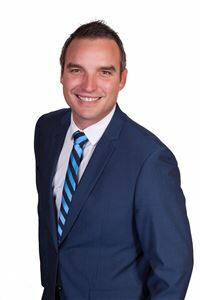 Finishing in Hospitality at The Redcliffe Seabrae Hotel, Matt sought to combine his customer service skills with his long held passion for Real Estate.He achieved this by joining the award winning team at Harcourts Redcliffe. Matt is 100% committed to not only providing great service, but to also achieving the best result possible for his clients.